At the heart of the hotel is the magnificent Queen's Room restaurant, with a barrel-vaulted ceiling dating back to the 12th century. Nestled safe and secure behind a portcullis, Amberley Castle lies waiting to be discovered as a truly unique wedding venue. 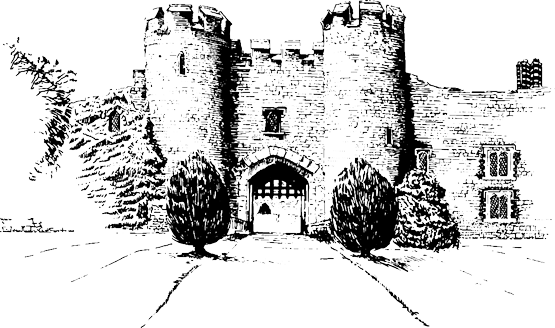 Amberley Castle, recorded in the Doomsday Book as Amberley, is rich in history, and to this day, still retains many of its original features and decorations. "900 years of romance and serenity in the South Downs National Park"
Part of the AA Hotel Group of the Year 2017-18, Amberley Castle is a unique luxury hotel located in the picturesque village of Amberley at the foot of the South Downs. Privately owned by Andrew and Christina Brownsword, this magnificent 900-year-old castle is enclosed by a 60 foot high curtain wall and portcullis that remains open, behind which you will discover an enchanting hotel offering the highest standards of food and service. Bedrooms are resplendent with the luxurious facilities you would expect from a country house hotel. History encompasses every part of this wonderful building and the many acres of gardens it stands in. Enjoy discovering our tennis courts, 18-hole putting green and croquet lawn, and even our resident peacock roaming the grounds. For those seeking tranquillity and relaxation, there are many quiet corners to discover under the shade of a tree or by the fireside.